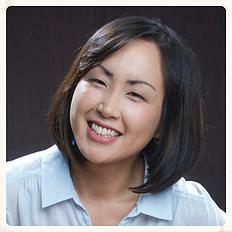 Shin Kim is known from DramaFever’s “Cooking With Shin” series and the recipes from her personal blog. Now, she’s kicking off something a bit new, a new culinary experience class that she’s calling Banchan Story. With the tagline “whispers from every little dish,” Banchan Story is part Korean culture meetup, part history lesson, and all food. Banchan Story is a way that Kim hopes to combine foodies and fans of the Korean wave, known in Korea as hallyu. This is made up of all sorts of Korean culture that is exported abroad, primarily K-pop, Korean movies, and Korean television dramas. Food and beauty products are some of the lesser discussed, but just as important, parts of the Korean wave. While some people come to Korean cooking classes with little knowledge and are just looking for some fun new food, Kim said that anytime she mentioned the fact that she subtitles Korean dramas a few people’s eyes lit up and they admitted to being fans. Why the name? Banchan is the Korean word for small side dishes served at just about every traditional Korean meal, and Kim discovered that a lot of people came to her cooking classes for widely known dishes like japche noodles and kimchi, but left with a love of the side dishes. Those little dishes don’t always get so much screen time on Korean television shows and movies, but a lot of other food does and Kim thinks the rise in popularity of Korean food is innately linked to other Korean media. 1. Cut cucumbers to thin slices. Sprinkle sea salt over cucumber slices and mix well. Let it rest for 10~15 minutes, just until cucumber slices start to sweat and soften. This also depends on how thin the cucumber slices are, so keep an eye on it. If it’s your first time and you’re not sure, go under rather than over, meaning, don’t let it sit too long, which will get the cucumber too salty and too soft. 2. In the meantime, mix rice vinegar, red pepper flakes, toasted sesame seeds, scallion, garlic and sugar together. 3. Rinse off salt from cucumber in cold water and gently squeeze to remove excess water. 4. Mix cucumber slices in seasoning. Keep it in an airtight container and store in the refrigerator. In case you’re interested, Banchan Story kicks off in New York City on July 8th, at an event sponsored by the Korea Foundation for International Culture Exchange (KOFICE) and H-Mart. 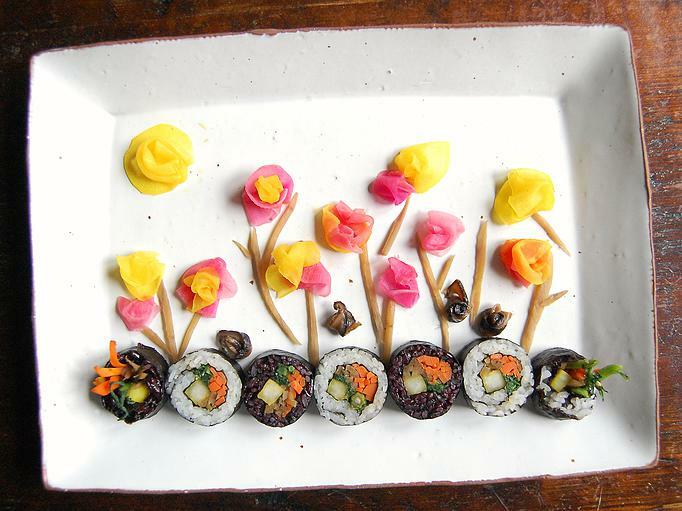 Banchan Story classes will begin this summer in Manhattan. Check out Banchan Story HERE. Do you cook Korean food? What do you think about the connection between Korean food and Korean TV shows/movies? Share your thoughts in the comment section below and be sure to subscribe to the site and follow us on Facebook, Twitter, Instagram, and Tumblr to keep up with all of our posts. When KPOPme attended KCON 2014 last week on August 9th and 10th at the Los Angeles Memorial Sports Center, we were able to meet and interview the lovely ladies of Crazy Korean Cooking, a cooking site that shares Korean cuisine in an educational and entertaining manner while providing access to Korean food products through its shopping branch. 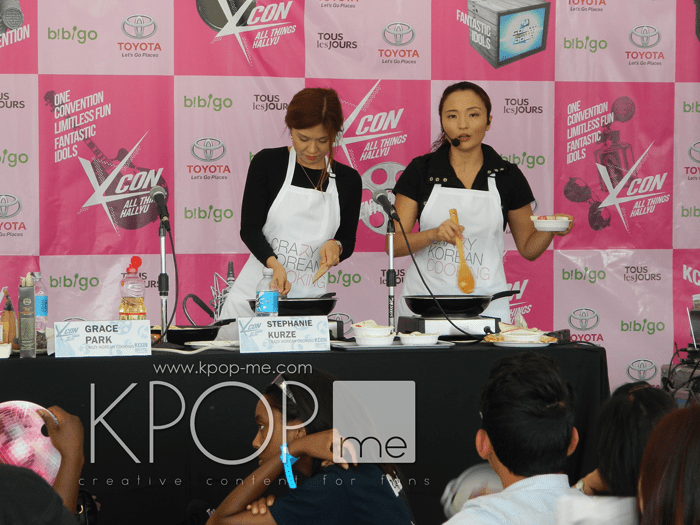 KPOPme attended a panel on the first day of KCON where Crazy Korean Cooking’s duo discussed Hallyu culture shock, so we were excited to hear more about cooking and how it was an extension of the Korean Wave. With great senses of humor and a shared passion for cooking, Grace Park and Stephanie Maing prove to be a formidable duo full of energy and dedication to their craft. After two days of hard work, they took some time to talk to us about their KCON experience, websites, and future goals. CKC’s mission is simple. We exist to teach and spread authentic Korean cooking and food culture across the globe. It’s no secret we like to have fun, and laughter is a key CKC ingredient. But don’t be fooled, our aim is to strive for excellence in recipes and expansive knowledge in Korean cuisine. We may not always take ourselves very seriously, but the cooking itself – we’re not playing around. If that’s not enough to garner your interest, then check out our interview with Grace and Stephanie below. What Makes a Good Korean Restaurant? Thuc: First things first, since you told me this was your first year at KCON, what’s your experience so far? Stephanie: Oh, my experience has been wonderful. I mean, it’s great to see all these people from different nationalities and backgrounds gathered together, celebrating my own culture, Korean culture; so it’s wonderful to see that. Grace: Yeah, it’s been amazing. Like Stephanie, I’ve just been really so surprised that there’s so many – to see so many different types of people from different backgrounds, different locations, different age groups, and a lot of non-Koreans, actually, so that’s been good. People have been so nice when, you know, we’re doing a cooking demo or whatever, and everyone’s just so eager to learn about Korea, Korean food, and Korean drama – Korean everything! Yeah, we’re just really happy to be here, honored to be here. Stephanie: And for our business, we feel very, very encouraged that, I mean, when we decided to dive in, we didn’t know what to expect, and we didn’t know where it was going to take us. We are very encouraged that people are interested in K-Pop, not only K-Pop, but you know Korean culture and Korean cuisine, so you know it really motivates us to work harder as well. Thuc: So how do you feel like your site has progressed ever since you started working full-time on Crazy Korean Cooking.com? Grace: Well first of all, because we’ve been so busy before we did the full-time, first of all we’ve really spent a lot of time on expanding our recipes. So Stephanie takes all the photos, so like we would cook, and take the photos for everything and photo-shop everything, that’s what we worked on. So now we’re proud to say we have over 100 recipes, because before we started, there was like 16 or something, so that’s really good. Also our shopping site where we sell Korean food and ingredients, it’s been really good. It’s also interesting to see what people are buying, for example we’re selling a lot of dolsot (stone bowl). Most of our customers are non-Koreans, actually. We’re just surprised at how many people are interested in dolsot. So it’s been very good, like, in terms of our traffic for example, we used to, last time this year, we used to have 3,000 a month. This year, we have almost 100,000 a month, and that’s a huge jump. Thuc: That sounds great. If you had a chance to come to KCON next year, would you? Thuc: What are your current goals for your site? I heard you were expanding into your shopping site, to sell more Korean ingredients. Are there any other areas that you want to expand into? Stephanie: First of all, we want to redesign our cooking website, make it more visually pleasing and also more user friendly. Grace: Yeah, that’s definitely one goal. We are actually going to release new products, like our own. So like, we are collaborating with this artisan, Korean artisan, who lives in the States, but he makes great Korean sauces, like gochujang [red pepper paste], doenjang (soy sauce), like really authentic and in a traditional way. But because he’s so authentic and passionate about his jang, it’s not like he’s gonna spend time on marketing and stuff, so we’re gonna help him bring his stuff to non-Koreans. That’s our next step, and that’s really exciting. So yeah, we’re going to create more of our own products, like ingredient kits, if you want to make bibimbap, you can just buy a bibimbap kit, you have all the ingredients you need are in there. We also partnered up with kimchi artisans in Texas – Austin, Texas, actually. Stephanie: We’re selling kimchi online as well! Grace: Gluten free, chemical free, pesticide free. So I think in general, what we’re trying to do is we want to not just sell any ingredients; we want to bring quality ingredients. We don’t want to sell anything we wouldn’t use or we’re not proud of. We’re trying really hard to source artisans or products that are delicious of course, but good for you and healthy. If possible, we want to sell things that have no preservatives. Our goal is to curate products that are delicious but are good for the body and hopefully also good for society. Stephanie: And providing the right information for Non-Korean people, because it’s very hard to find the any sort of sources or information for Korean food ingredients. Grace: Also, Stephanie worked really hard on researching Korean ingredients. We haven’t finished yet, but we’re going to finish our ingredient wiki, Korean ingredient wiki, where you can find pretty much all Korean ingredients, like what they look like, what they’re good for, like nutrient information, history, like everything. And how to prepare ingredients, things like that. We spent a lot of time researching, so we just have to upload to the website with photos and everything. Stephanie: (Laughing) Talking just made me realize that we have a lot to do. Thuc: I’m pretty sure that you’re going to do well! Grace: Yeah, and our customers are very happy! With every product that they purchase, even if it’s just one gochugaru [red pepper flakes] or gochujang, we include an info sheet, which has like what this is all about, what gochujang is, where this comes from, who’s the company, how do you use it, and people really appreciate it. Because sometimes, a lot of the time, when you’re trying to cook with an ingredient you’re not familiar with, you have no idea what it is or where to start. Thuc: To close off this little interview, what would you like to say to your fans? Both: Thank you, thank you, thank you. Grace: Thank you so much for your interest, and we’re just really happy to be a part of this whole Korean wave. Well, what do you want to say? Ah, keep cooking! Don’t forget to do something crazy! Stephanie: Yeah, but you know, the thing is, keep cooking, but don’t forget to have fun with it. I think that’s sort of our idea behind our brand, because even though we teach cooking in a very authentic way and we’re not joking around when it comes to that. But still, we manage to have fun, and I think that’s really essential in life and to have fun and be happy! Don’t forget to like CKC on Facebook and subscribe to them on YouTube! Are you also a Crazy Korean Cooking fan like me? 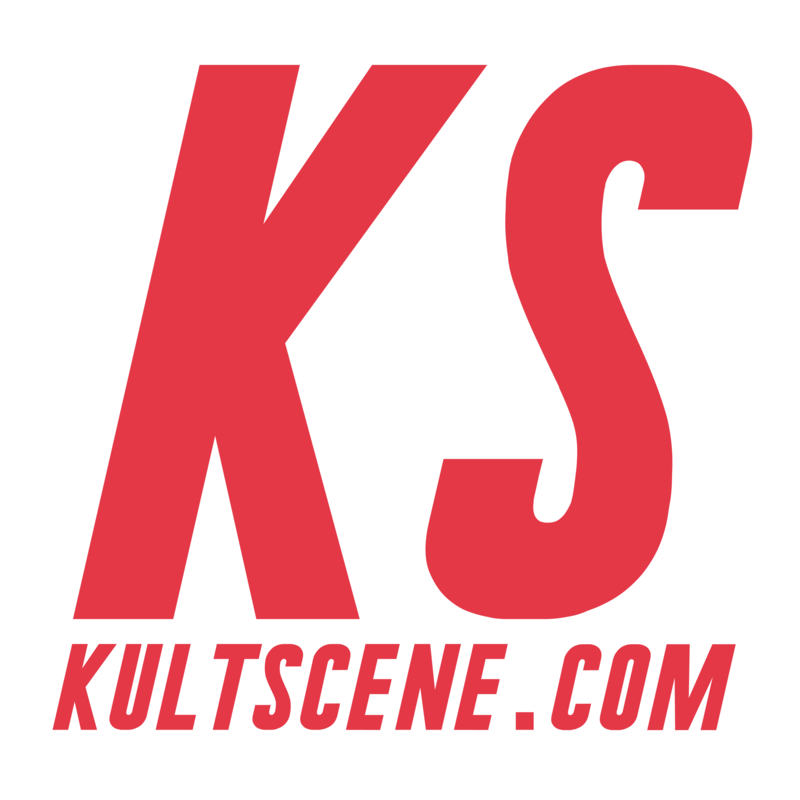 If you’d like more articles on Korean cuisine, be sure to follow us on Facebook, Twitter, Instagram, Tumblr, and Bloglovin’ so you can keep up with all our posts.